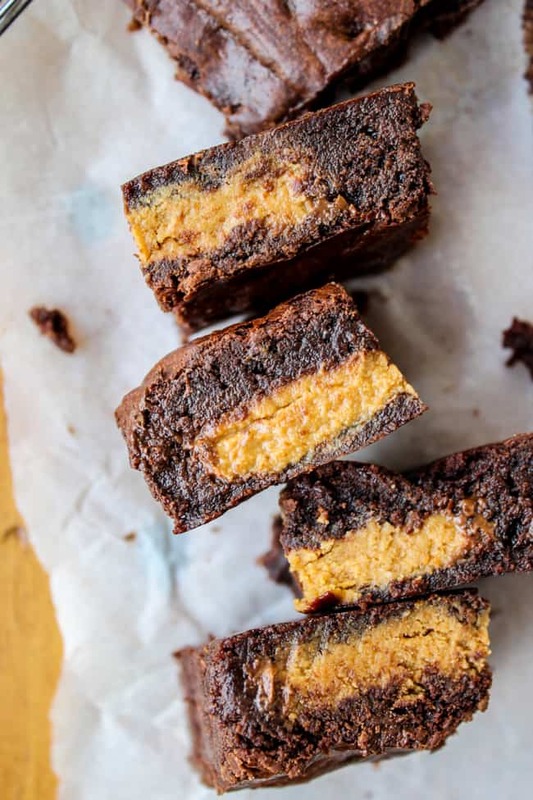 These ultra rich, decadent brownies are given just the right fall touch with a swirl of pumpkin cream cheese on top. Go ahead, just try and eat 2 of these. This weekend Eric and I assembled a midsize trampoline for the kids to play on. And by “Eric and I,” I mean that Eric did everything while I shuffled around and said things like, “What can I do!” Mostly I did nothing, except for the time when I used the broom to sweep away some cobwebs and hit him in the FACE with it. I am really good at being girly and useless sometimes. I even handed over the broom when the Giant Black Widow of Death appeared. I swear it was the biggest I’ve ever seen. What is it with poisonous spiders always hanging out on the kids toys? It’s like THEY KNOW. I am girly when it comes to spiders but not when it comes to useful things like crafts. On Saturday I got together with all the ladies from church and we made some fun holiday crafts. And by “we made” I mean that I would try desperately to stuff stuffing into my shirtsleeve no-sew pumpkin, but no matter what I did it looked square. I had to keep asking for help. Like, how do you even mess up stuffing a shirtsleeve? It looked like one of those Pinterest failures. I should have photoshopped a “NAILED IT” underneath. So have you guys made anything pumpkin yet this fall? Here’s your chance! These brownies are craaaaazy. 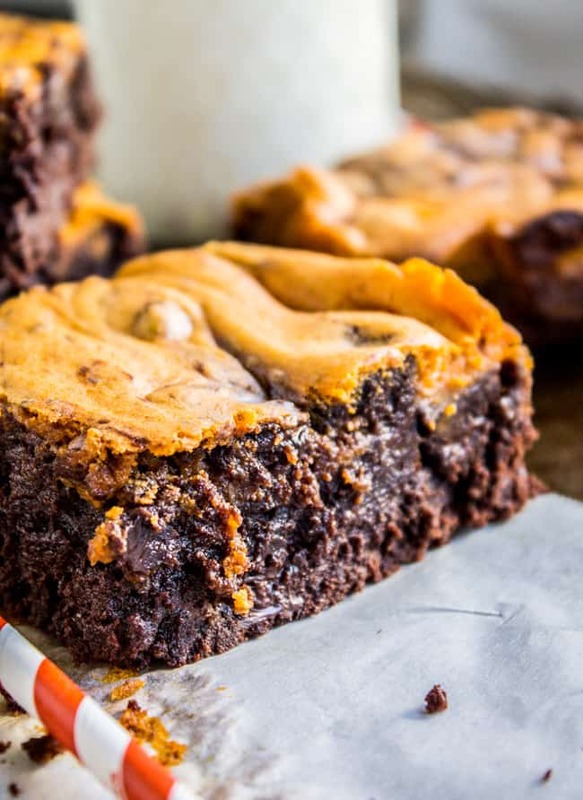 They are my favorite ever, never-to-be-replaced Browned Butter Brownies, with a pumpkin cream cheese mixture swirled on top. 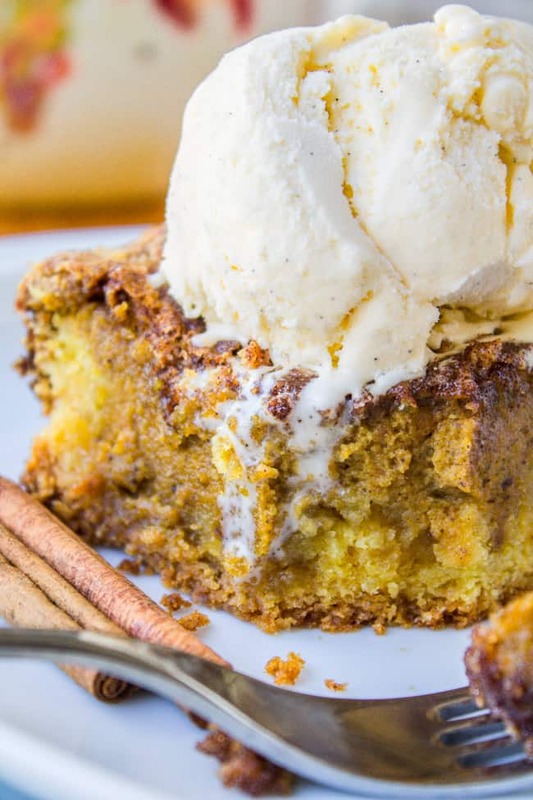 You can taste the pumpkin, but it is definitely not over the top. It is just the right amount. These would be perfect for a Halloween party! Prepare a 9×13 baking dish by lining with parchment paper or foil and then spraying with non-stick cooking spray. Or just spray the pan. While your butter is browning, combine sugar, cocoa, and salt in a bowl or stand mixer. Once the butter is nice and brown, immediately pour the butter into the bowl with the sugar and cocoa (so that it stops cooking. You don’t want it to burn). Beat the mixture until it is smooth, almost creamy. Add the water and vanilla. Add the eggs, one at a time, mixing in between each addition. Add the flour and chocolate ships and mix until just incorporated. Batter will be about the consistency of cement. Have a taste. It’s awesome. Use a sturdy rubber spatula to spread batter into the prepared pan. In a separate (or rinsed) bowl, beat the cream cheese until it is smooth. 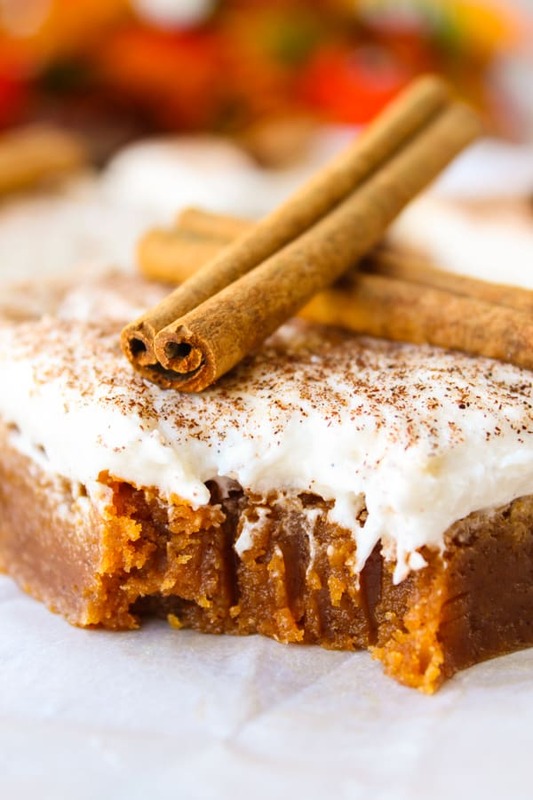 Add the pumpkin, vanilla, and sugar, and beat until smooth. Pour the pumpkin mixture over the brownies and spread to the edges. Now for the fun part: use a spatula or butter knife to make swirls. This is actually kind of tricky because the brownie batter is so thick, but just do your best. Bake at 350 for 45-48 minutes. The brownies are done when a toothpick comes out clean and the center doesn't wiggle when you shake it. Let the brownies cool before cutting. I like them warm, but they are good room temperature or chilled as well. Here’s the kind of food coloring I used. 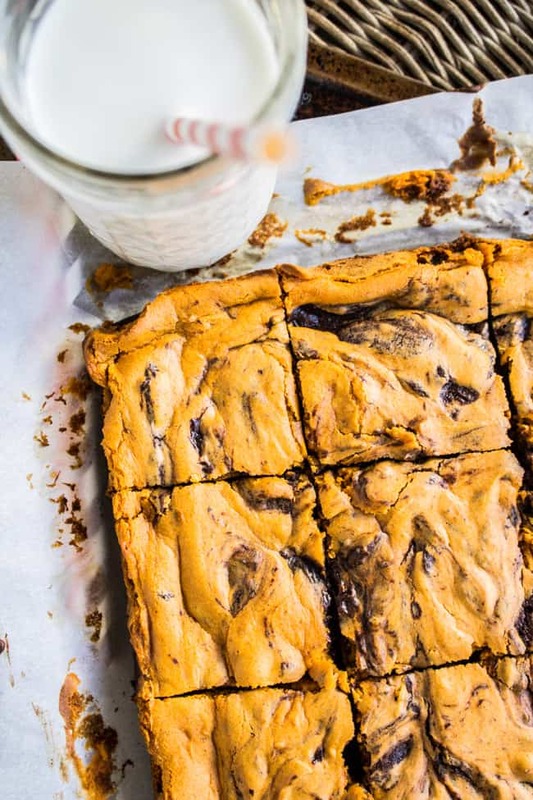 Here are the original Browned Butter Brownies! More Halloween treats you will like! More pumpkin love from friends! Thanks Jon! I hope you do try it! 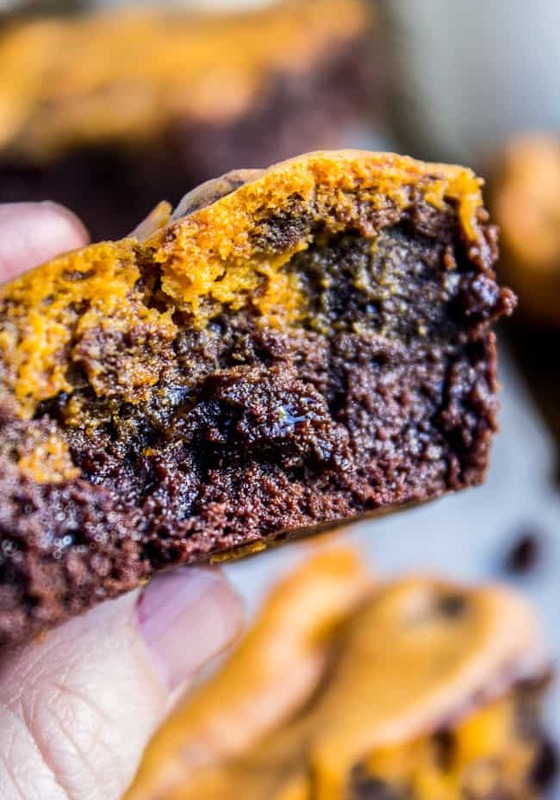 You can definitely taste the pumpkin but the brownie flavor is dominant. Enjoy! Drooling. The underbake is PERFECT on these babies! Gah that pumpkin swirl on top!! I am dying for dinner right now but would totally skip and go straight to dessert for one of these! 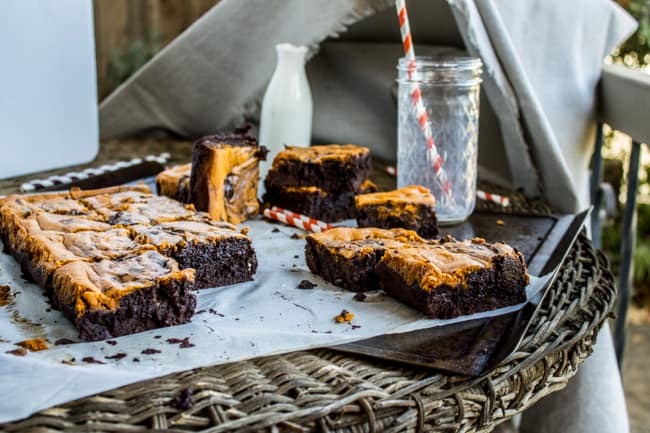 LOVING these brownies, now if we could just get our weather to feel more fall like – that would be perfect! I love doing holiday crafts, but they almost always turn out looking like a Pinterest fail. 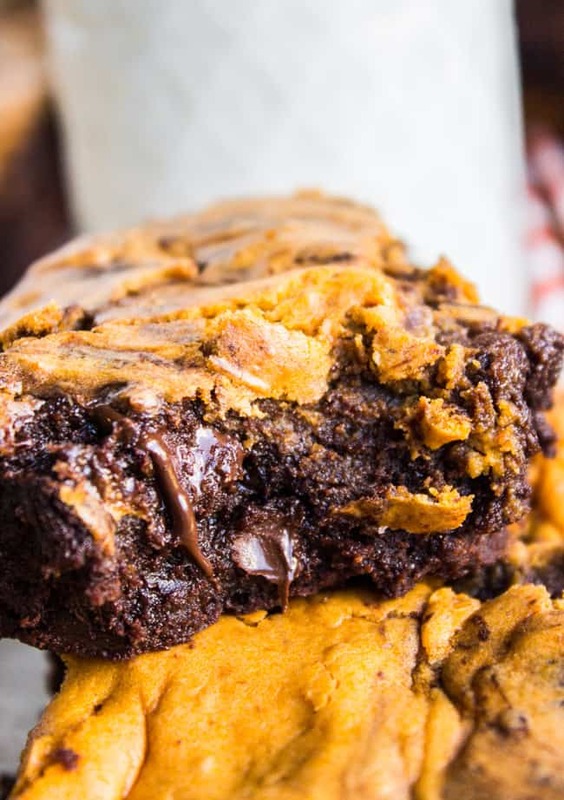 These brownies are totally not a fail! They look so gooey and rich, and I love the pumpkin! Oh my goodness. These look absolutely amazing! So ooey and gooey! I would totally make these for Thanksgiving. These look incredibly rich and totally delicious! Love that bright orange color you achieved :) Pinning!! 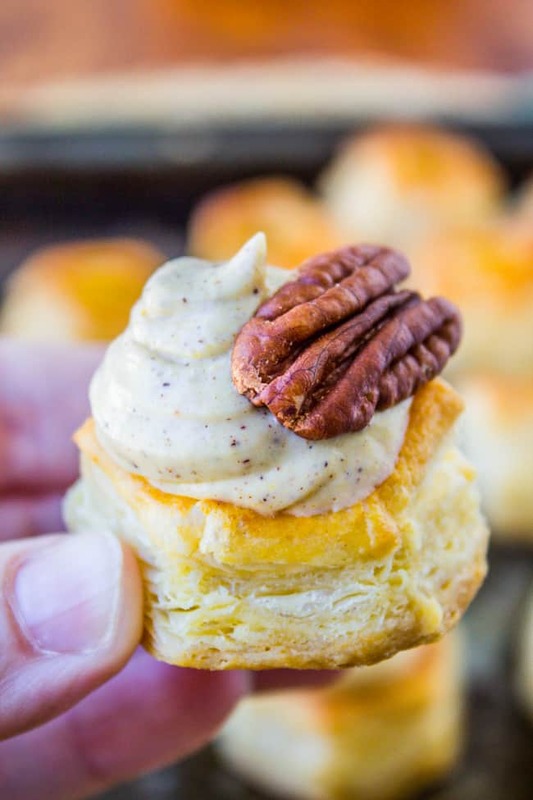 I need to try this cream cheese swirl on a gluten free box mix for my boys. They would love it. By the way, my kids are begging for a trampoline so let me know how it goes. 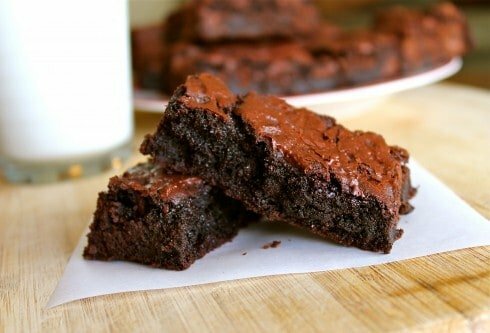 Love these brownies to pieces and that you need a full glass of milk per square inch of them. Yikes about the spider. I would have been girly too! Assembling children’s toys is its own special level of punishment. Just sayin’. My husband is generally very patient, but he is EXTREMELY profane when he’s putting things together! These look divine. I wouldn’t be able to stop at two! OMGAWWW – I’m terrified of black widows. Probably because they hung out on all my toys growing up. Now I have the willies – can you bring me a tray of brownies to make up for it?